Not such a long time ago, Facebook launched Instant Articles. And next year, Google launches its open-source version, Accelerated Mobile Pages (or AMP). Though these projects have been framed around speedier mobile browsing, there’s much more at stake. These projects will affect everything from the future of what a “story” is to where quality media will live digitally and how it will be paid for. Both standards will be adopted widely by publishers next year. And that will mean readers have less reason to go to publishers’ slow-loading sites that simply offer the same story. That leaves publishers with two options: become entirely distributed or build a better product. The coming year will see more companies abandon websites altogether to save costs, pouring all resources into media creation and leaving presentation and distribution entirely to outside platforms. It’s like the modern version of The Associated Press. As these media companies “publish” through APIs, they will need to learn how to tag and atomize the media they produce so it can be pushed to different devices at the right time and in the right context, personalized for the end consumer. The hot new job next year in distributed media companies will be platform partnerships manager — the person who acts as the interface between editorial, technology, and outside partners. For those taking the other path — building a better digital product — the opportunity will be for media companies to build platforms of their own, a trend which will accelerate next year. That means turning readers into users, and audiences into communities. Media companies that go this route realize their brands aren’t just about the content they produce, but the community they can rally together around a cause. They will increasingly measure loyalty and how engaged their users are. Outdated metrics like pageviews will give way to daily active and monthly active users. The new hot job in those companies will be product manager, who will be the interdisciplinary heart of media organizations where editorial and business come together to create better products, drawing a page from Silicon Valley’s playbook. Then we’ll come to the next big battle in the platform wars — and see if publishers will be able to mount a significant challenge to the technology players. Their tactic won’t be to win back large, general audiences, but to go after niches where people can find more value in a tight-knit community than general social networks. 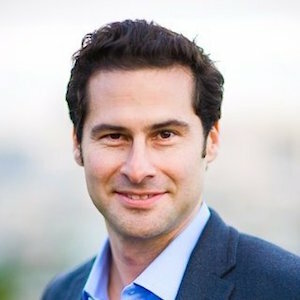 Burt Herman is the cofounder of both Storify and Hacks/Hackers. Dec. 18, 2015, 10:38 p.m.